The West Indies cricket team will tour New Zealand in December 2017 & January 2018 to play two Tests, three ODIs & three T20s. Before the Test series starts, West Indies will play a three day tour match beginning on 25 November 2017. Sunil Ambris in included in West Indies Test squad while Kyle Hope has been ruled out of the Test series against New Zealand. Hope could not perform well against Zimbabwe. He scored 16 & 43 in first Test against Zimbabwe but only made 1 in the second Test. Hope has been ruled out of the squad which beat Zimbabwe. Sunil has not played any Test & he has only represented West Indies in a single ODI. West Indies chief of selectors Courtney Browne has selected Ambris due to his consistent performance at domestic level. "Sunil has replaced Kyle Hope in the squad, and this is on the basis of his consistent performances across formats and his outstanding returns for the Windies ‘A’ Team,"
He added, "Kyle is encouraged to return to the first-class championship and turn in the strong performances his talent suggests he can deliver." New Zealand have announced squad for the first Test. Kane Williamson will be the captain of New Zealand in Test series. Watling may not appear in Test series who is currently nursing a hip injury but he may possibly appear in the squad if he gets well. Trent Boult, Tim Southee, Neil Wagner & Matt Henry are the foursome pace bowlers included in New Zealand squad while Mitchell Santner is the only spinner in the 12 men squad. Colin de Grandhomme is the key all-rounder while Ross Taylor & Tom Latham are the genuine batsmen included. New Zealand Test squad: Kane Williamson (C), Jeet Raval, Tom Latham, Ross Taylor, Henry Nicholls, Mitchell Santner, BJ Watling (WK), Colin de Grandhomme, Trent Boult, Tim Southee, Matt Henry, Neil Wagner. New Zealand selector Gravin is confident that New Zealand will play positive cricket in the first Test against West Indies. 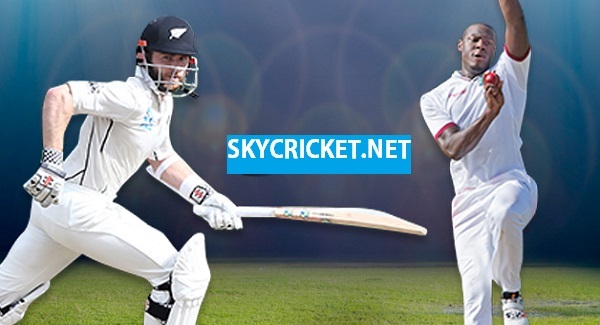 West Indies will play their first Test against New Zealand on 1 December at Wellington with the second match begins at Hamilton on 9 December. New Zealand have also announced their ‘A’ squad that will play a three day match against West Indies starting on 25 November.